When choosing replacement windows for your home, it’s important to consider all options before making a decision. Here are five important factors to consider before making an investment. Who will be installing your windows. Proper window installation is a vital step in process. If your windows are installed incorrectly, they will fail over time. Warranty information. 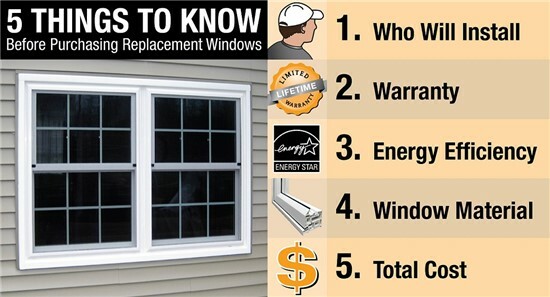 When choosing a replacement window company, it’s important to ask about warranty information. The company should offer a warranty on their products, as well as the construction and installation of the products. If the company doesn’t offer both, you should think twice before purchasing windows from them. Energy efficiency. Experts estimate that 90 percent of window heat loss occurs through the glass. Energy-efficient window glass is key to lowering your heating and cooling bills. What materials is the window made of? Before you buy replacement windows, ask the company what their windows are made of. 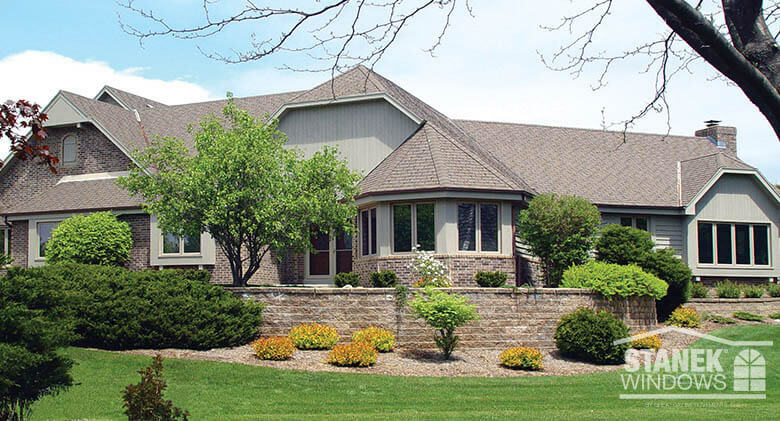 Stanek Windows controls the process from start to finish, including the manufacturing of each window, so you know your windows are made with exceptional attention to detail and superior quality materials. Does the quote include all costs? Watch out for companies that tout the lowest prices in the market, because they may be too good to be true. The company could add on hidden fees for things like installation or manufacturing. When choosing a replacement window company, be sure the quote includes the costs of the entire project for your specific window sizes. 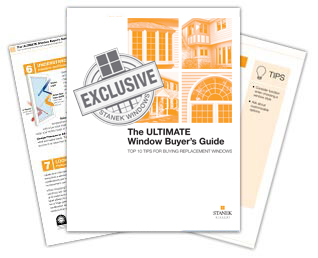 For more tips on buying replacement windows, download our Ultimate Window Buyer’s Guide. Why is Window Quality and Proper Installation So Important? The proper installation of your windows is crucial to their long-term performance. If a window is not installed correctly, it will not seal properly, causing air to leave or enter your home. While some vinyl windows can be structurally weak, Stanek vinyl replacement windows are structurally reinforced, ensuring they will last you a lifetime. If you want replacement windows that will last, it’s important to choose quality over price. While low prices can be tempting, you may end up spending more in the long run on maintenance costs and the potentially unavoidable cost of replacing low-quality windows that may fail over a short period of time. 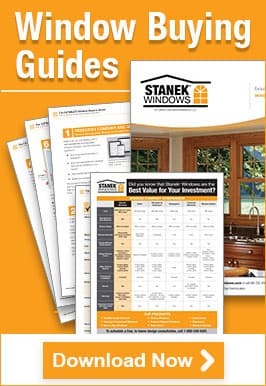 While there may be a lot of replacement window companies to choose from, Stanek offers the best value for your investment. 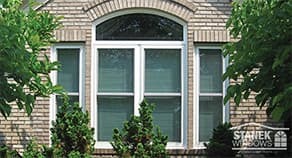 Our vinyl replacement windows are custom built, just for you. Our windows are of exceptional quality and our glass provides energy efficiency for your home. Stanek also works with you to create custom windows for your home, every step of the way, from start to finish. Unlike some companies, Stanek offers a Limited Lifetime Warranty, which offers you peace-of-mind protection. We value transparency with our customers; that’s why we also provide you with the exact cost of your project from beginning to end during your in-home design consultation, so you’re not surprised by additional costs. 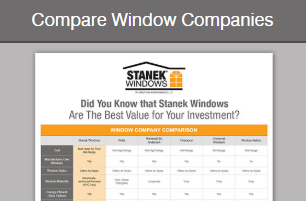 View our Window Company Comparison Chart for more information on why Stanek can provide you with the best value for your investment. If you’re ready to learn more about our vinyl replacement windows, schedule your free, in-home estimate online, or give us a call at 800-230-8301 today.